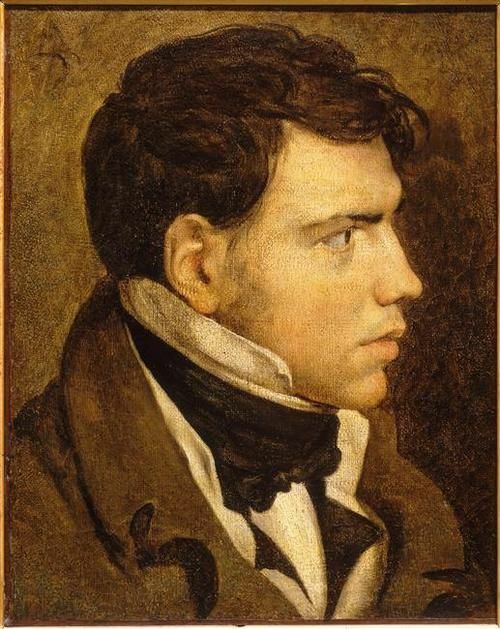 Born on 12 October 1798 his circumstances were ripe to take him to heights had he mind for taking a leaf out of the example of Napoleon and began it in the South America. In politics an enemy is one who you may worst by his own strength. Had he taken the truism to heart he would learnt to think and manoeuvre as Napoleon would have. As emperor of Brazil perhaps he could have set a domino effect on other South American states. But this was not to be. Born in Lisbon, Pedro I was the fourth child of King Dom João VI of Portugal and Queen Carlota Joaquina, and thus a member of the House of Braganza. When Napoleon conquered Portugal in 1807, Pedro accompanied the royal family in its flight to Brazil. He remained there as regent when King John returned to Portugal in 1821. Pedro surrounded himself with ministers who counseled independence. When the Portuguese Cortês (Parliament), preferring colonial status for Brazil, demanded that Pedro return to Lisbon to “complete his political education,” he issued a declaration of Brazilian independence on Sept. 7, 1822. Within three months he was crowned emperor. Pedro’s initial popularity waned, and in 1823, when the Brazilian Assembly was preparing a liberal constitution, he dissolved that body and exiled the radical leader José Bonifácio de Andrada e Silva. On March 25, 1824, however, Pedro accepted a somewhat less liberal constitution drafted by the Council of State at his behest. Although adoption of that charter may have saved Pedro from deposition, it did not reestablish his popularity. His autocratic manner, his lack of enthusiasm for parliamentary government, and his continuing deep interest in Portuguese affairs antagonized his subjects, as did the failure of his military forces in a war with Argentina over what is now Uruguay. Strong opposition in the Brazilian Parliament and a series of local uprisings induced him to abdicate in 1831 in favour of his son Dom Pedro II, who was then five years old. Pedro I then returned to Portugal. 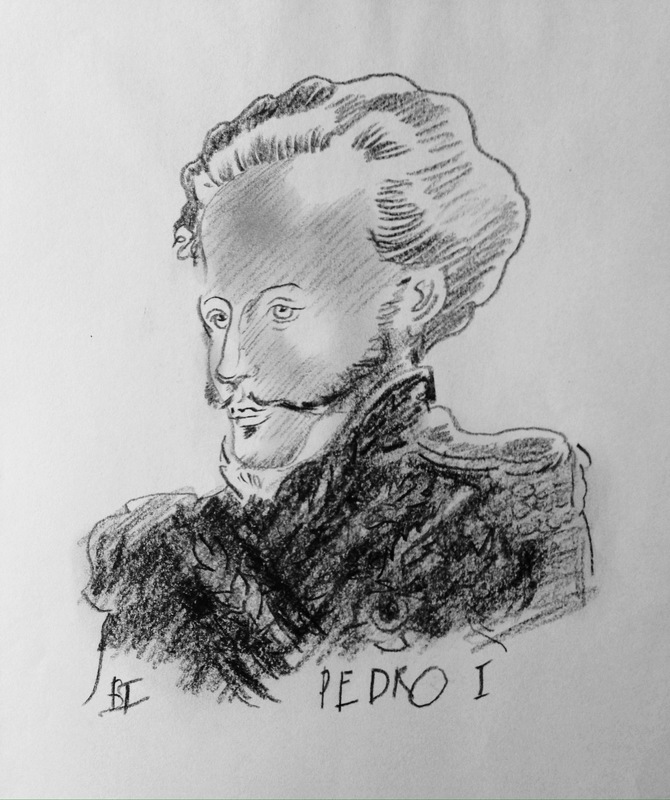 Pedro I died of tuberculosis on 24 September 1834, just a few months after he and the liberals had emerged victorious. He was hailed by both contemporaries and posterity as a key figure who helped spread the liberal ideals that allowed Brazil and Portugal to move from Absolutist regimes to representative forms of government. 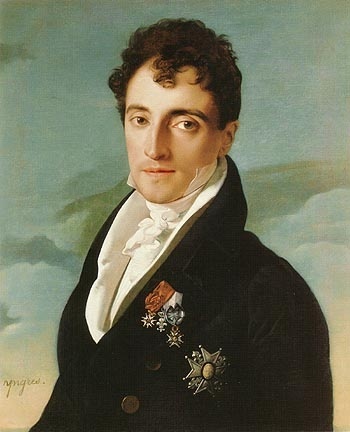 (ack: Jean Auguste Dominique Ingres – 1.